Large number of roads is building in Sochi now. Condition of roads is expected to greatly improve to the time of the 2014 Olympics. According to the available in the Internet information, according to the plan preparation for the Olympics in Sochi will be constructed more than 100 kilometers of railway lines, more than 75 kilometers of roads, about 20 road junctions, 20 road tunnels. 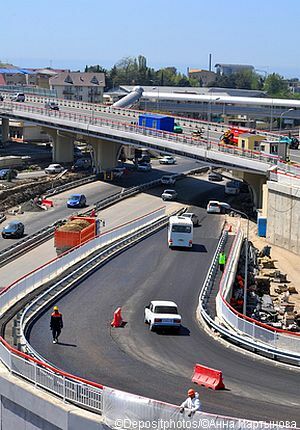 The photo shows the construction of the road in Sochi (July 2012).